What is Adrenal Fatigue and How Can You Heal From it? If you’re like a lot of people, you find that most days you are completely stressed out. And dealing with all of this stress leaves you exhausted, irritable and craving junk food. If this sounds familiar you may be suffering from adrenal fatigue, a common condition that leads to lower levels of a number of hormones and neurotransmitters. This decrease can change just about every aspect of your health. Though everyone will experience a different set of symptoms, there are always a core group of common symptoms. One of the major causes (I’ll get to those in a minute) of adrenal fatigue is getting insufficient sleep. This leads to sufferers waking up extremely foggy and tired, even after getting 8 hours. This lack of rest stems from the hormonal cocktail of adrenaline and cortisol that are the result of chronic stress. These hormones are supposed to keep us awake and alert when there is danger in the environment, like a hungry tiger ready to eat us. But when that ‘danger’ is mounting bills, we don’t really need to stay alert. Those adrenal fatigue sufferers who have been dealing with stress for months and months and are at later stages of the condition will have lower levels of cortisol in their bloodstream. Since cortisol is a hormone that also regulates blood sugar, your blood sugar tends to be much lower in the morning and you have zero energy. Although our energy levels can drop a bit as we get older, if you find your levels are permanently low throughout the day, you may be suffering from adrenal fatigue. If you find yourself drinking more and more coffee to stay awake, or sneaking in naps, it’s time to look at the underlying cause of your exhaustion. Suffering from adrenal fatigue means not having the right amounts of hormones and neurotransmitters that you need to feel good. You’re alert at night and exhausted all day. And no matter what you do, how well you eat, exercise, drink water… none of it seems to work because your problem is much deeper. Does the slightest bit of stress leave you feeling overwhelmed, like you’re going to crack and really lose it? During times of stress, our adrenal glands are supposed to release stress hormones to help us deal with whatever is happening at the time. But when our adrenals are fatigued, they no longer are able to release what we need to cope, and so we feel like we are suddenly up on a very high wire with no net below. Do you find you crave salty foods? Your adrenal glands have a part called the cortex, which is responsible for producing something called aldosterone. Aldosterone is a mineralocorticoid that works with the kidneys to regulate our fluid and mineral excretion. When our adrenals become fatigued, we also begin producing less and less of aldosterone and then tend to excrete large amounts of important minerals in our urine. This means that those suffering from adrenal fatigue lose the ability to balance important minerals like sodium, potassium and magnesium. This causes them to crave foods to replace the sodium they have lost. Sufferers may also find they crave a lot of sweet foods because the body is desiring a source of energy, or man-made stimulant, to keep it going. If you find you are eating more sugary foods than you used to, it might be your body’s way of compensating. Cortisol has an anti-inflammatory effect that helps to regulate your immune system. But that’s not as good as it sounds. Often inflammation is a beneficial thing, it’s how your body fights an infection or an invader like a splinter or bug bite. When your cortisol levels are too high from stress, this anti-inflammatory effect becomes too strong, not allowing your body’s immune system to do what it does best, keep you well. And conversely, for those adrenal fatigue sufferers who have been suffering for awhile and whose cortisol levels are now low, it can lead to chronic inflammation and a number of respiratory or auto-immune diseases. Adrenal fatigue is typically caused by long-term stress from things like family dysfunction, overwork, financial burdens, sick loved ones and marital problems. Of course it can be a combination of these factors. Other factors can come into play as well. A poor diet is generally the first result of too much stress and poor food choices only make adrenal fatigue worse, because your body has no reserves of the “good stuff” it needs to deal with stress. Exposure to toxic chemicals and pollutants are also thought to be a contributor to the disease, as is not getting enough sleep. It won’t be easy to restore the health of your adrenal glands but be patient and stick to your wellness plan. By making some simple lifestyle changes, you can recover and enjoy optimal health once more. Here are 3 things you can do to start your recovery. Have you ever noticed that no matter what disease a blog post may be talking about, when it comes to recovering from it, the first step is to ALWAYS clean up your diet? 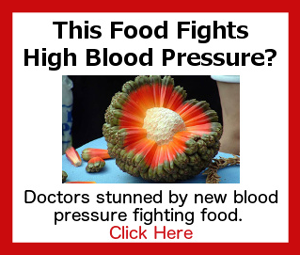 That’s because food really is medicine. To function properly, your body depends on a variety of nutrients. Those suffering from adrenal fatigue are particularly depleted in nutrients and need to replenish. To do this, eat clean whole foods like lean meats, organic fruits and veggies, eggs, nuts and seeds, and healthy fats like olive and coconut oil and avocados. Do your best to refrain from processed garbage. Because your body is so low in certain nutrients, it’s unlikely you will be able to get everything you need from the foods you eat to recover from adrenal fatigue. Supplementation may be your best bet. B Vitamins – B vitamins work together to create energy from the food you eat. B12 is particularly important and is commonly referred to as the energy vitamin. Magnesium – Magnesium is required for over 300 enzymatic actions in the body and is one of the most important for recovering from adrenal fatigue. Magnesium is required for a good night’s sleep and muscular relaxation. Coenzyme Q10 – This is one of the most powerful antiaging nutrients there is and is needed by every cell in your body. This nutrient combats low energy and helps you to manage stress. Ashwagandha – This is an Indian adaptogen herb and helps to regulate cortisol levels in the body and induce a sense of calm. It is also a powerful immune system booster. De-stress before bed – Take a warm bath, try breathing exercises or meditate before you head to bed. These pre-bed routines can help set your cortisol levels where they need to be so you get rest. And obviously avoid caffeine and other stimulants. Balance your blood sugar – Remember, when your cortisol levels are off, you may have blood sugar levels that are too low. Low blood sugar causes you to wake up. Try eating a small healthy snack before bed like a slice of wholegrain bread with peanut butter or a hardboiled egg and a piece of cheese. Recovering from adrenal fatigue will be a slow and steady journey. At times you may feel frustrated that the journey isn’t going as quickly as you’d like. But remember, it took a long time for your adrenals to become fatigued, and it’s going to take some time to get them back in shape. Do your best to stick with the strategies we’ve outline and celebrate any small gains you experience. And if you’d like a fun and easy way to calm down and alleviate the affects of stress, try Sonic Wave Relaxation Therapy. Just ten minutes a day is all it takes to stop your body from releasing the hormonal cocktail that got your adrenals into trouble in the first place. Find out how Sonic Wave Relaxation Therapy can help you get back to normal.